For the third year in a row, a Royal Cork team lifted the Vice President’s Team Racing Trophy at the weekend. 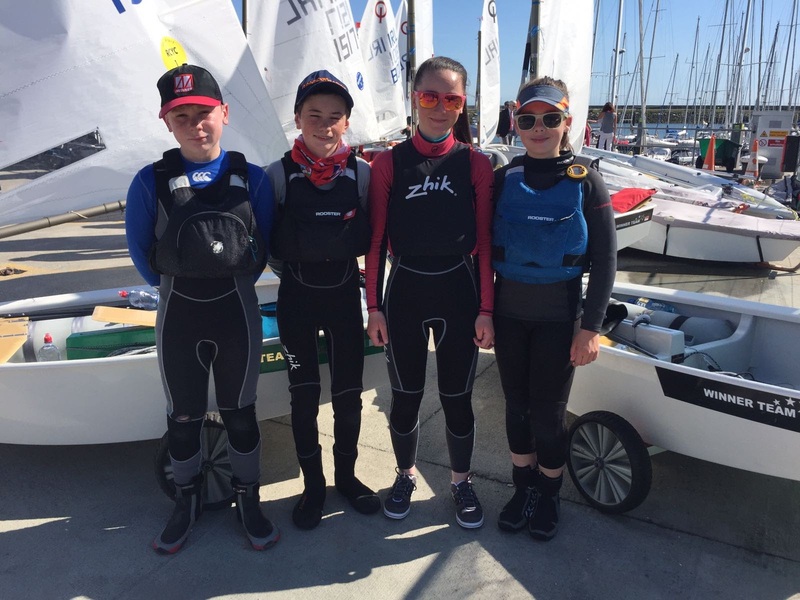 Spoiled with ideal conditions of 8-10 kts of breeze and glorious blue skies, the seeded team of Rory O’Sullivan, James Dwyer-Matthews, Kate Horgan and Emer McMorrow-Moriarty made it look easy. The team progressed well through the round robin, winning all three matches. This took them through to the semi-final against the host club team from Howth YC, but again the travelling contingent edged out a strong Howth team. Presentation to the winning team of (L-R) Emer, Kate, Rory & James. Also shown is Helen Mary Wilkes, an absolute legend of Optimist racing and founder of the VP Trophy and Emmet Dalton, Vice-Commodore HYC. What seems to be turning into a derby-style final was inevitable against the Royal St. George who had both teams in the other semi-final. However, with 56 races delivered at that stage by PRO Richard Kissane and his team, the final was down to a single race. Team Royal Cork took the victory and with it the trophy. Both the winners and the runners-up get to attend the Warsaw Team Racing Open in September. 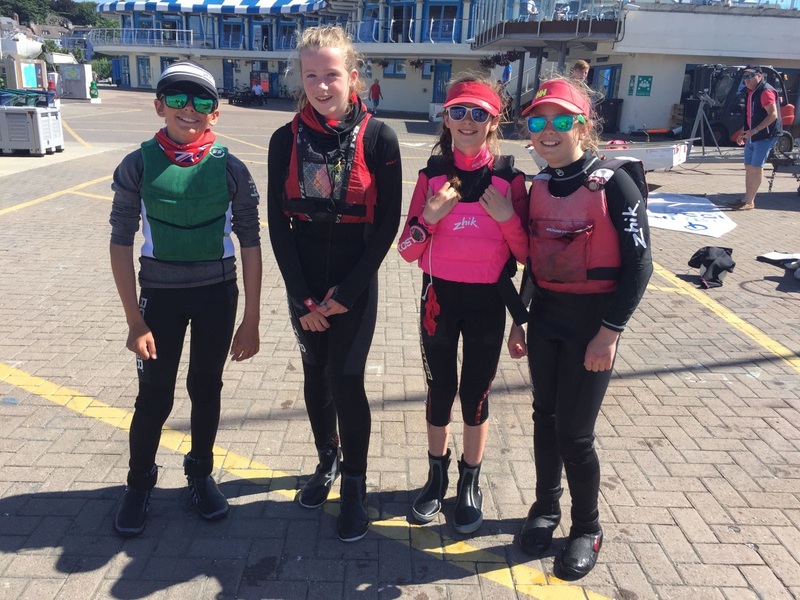 A further shout out too to Royal Cork 2, comprising Emmet Lucas, Anna Keal, Lucy Bateman and Alana Twomey who finished a very creditable 2nd Silver and will no doubt be looking to take top spot in the not too distant future. 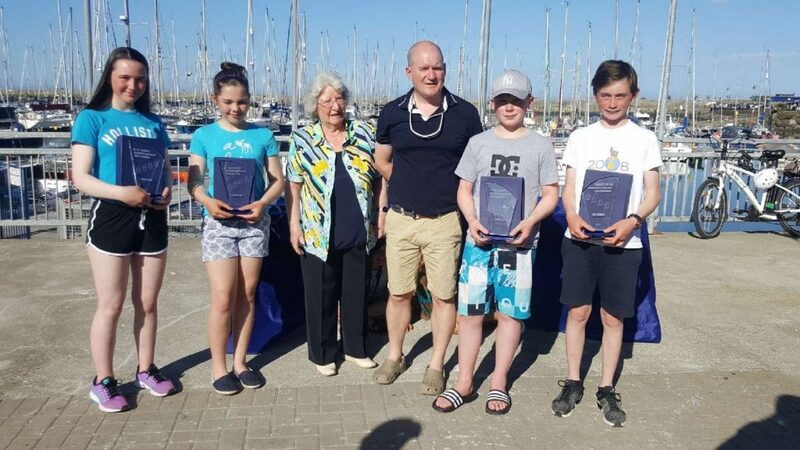 Thanks to all the parents who supported the teams, coaches John Downey, John Durcan and Eoin Lyden who clearly prepared our sailors well and to the team at Howth YC for providing such great racing. 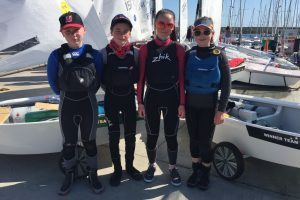 Royal Cork Topper sailors off to flying start! Topper Southern Championships held in glorious sunshine! The Royal Cork Yacht Club is based in Crosshaven, Cork, Ireland and is the world's oldest yacht club founded in 1720. It is the organiser of the biennial Cork Week, widely regarded as Europe’s premier sailing event.